Pac Man is arguably the coolest retro character in gaming. 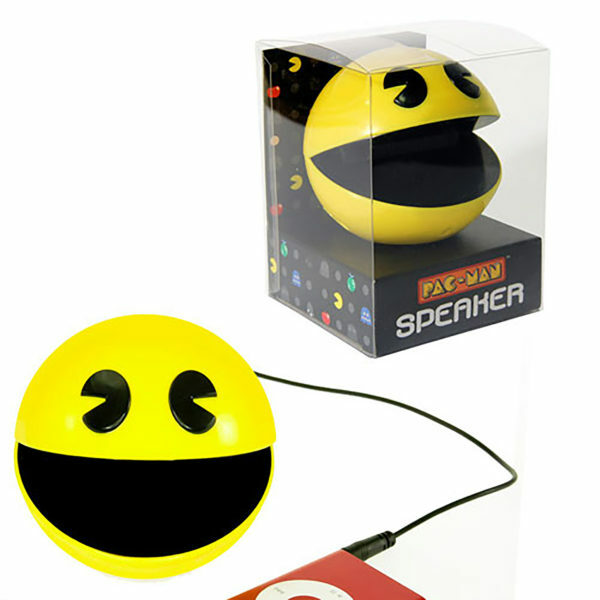 The Pac Man speaker is now the coolest speaker to be seen with. 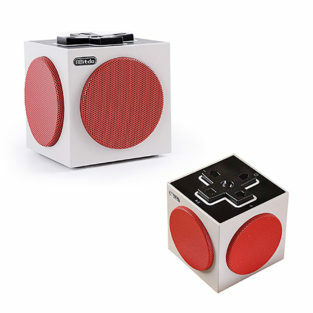 Perfectly proportioned for travel, the PAC-MAN Speaker is a great gift idea for all fans of this iconic video game. It comes supplied with a 3.5 mm audio cable (standard size for most phones and MP3 Players). The PAC-MAN Speaker requires 3 x AAA batteries which are not included.